Address: 668530 Republic Tyva, Todzhinsky r-n, pos. Toora-Khem, Zelenaya st., 14. Zapovednik Azas, in the northern part of Tyva Republic, was founded in 1985 on the basis of an existing beaver zakaznik. It has an area of 300,4 thousand ha. Located in the basin of right tributaries of the river Bolshoy Yenisei (Biy-Khem) and on the left bank of the river Sorug. The relief is mountainous, with steep crumbling slopes characteristic of the Park. 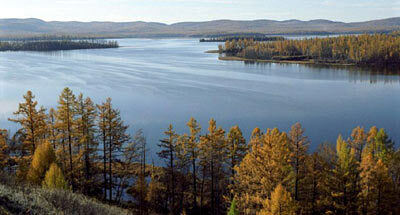 Taiga and taiga-lake mountain landscapes prevail. 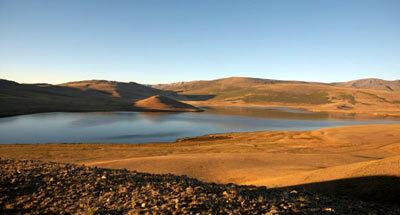 Many lakes are of glacier origin, the greatest one is the lake Azas (20 km long, up to 5 km wide). The main river is the river Azas, of mountainous character. The massifs of cedar taiga, larch and fir forests are widely spread; small areas are occupied by pine forests, valley spruce and willow forests. 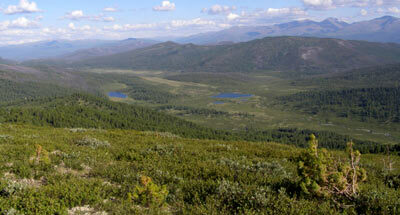 The forests’ area makes about 62% of the Zapovednik’s territory. The flora includes rare species, that are in the Bed Data Book of the Russian Federation — Orchis militaris, yellow lady’s slipper, Cypripedium macranthon, Sausurea dorogostaiskii, — and also plants, rare for the Siberia — Rhodiola rosea, Rhodiola pinnatifida, and Listera cordata. The fauna includes typical taiga inhabitants: in the light coniferous forests maral is numerous, at the foot of the mountains musk deer lives, elk is widely spread; Capreolus pygargus, wild boar, brown bear, lynx, sable, squirrel, Siberian weasel are usual. In the tundra communities wild reindeer is being met, traces of snow leopard are being found. On the river Аzas, the left tributary of Biy-Khem, over a length of 200-250 km from the upper reaches of the river to its mouth, the Tuvinsky beaver lives, a species in the Red Data Book of endangered species of the Russian Federation. Wild bird species number about 200, of rare and disappearing species black stork, osprey, fish hawk, golden eagle, erne, and peregrine falcon. In the rivers taimen, lenok, grayling, cisco, darter, pickerel, id are met.